And the hardwork begins….Today we got down and dirty, beginning our fieldwork activities bright and early in the morning. The classes were divided into 3 groups and would be fulfilling different activities throughout the day: bird monitoring, mangrove monitoring, and (vegetation curtain light pollution). Those who were bird watching left at a crisp 7:20am. 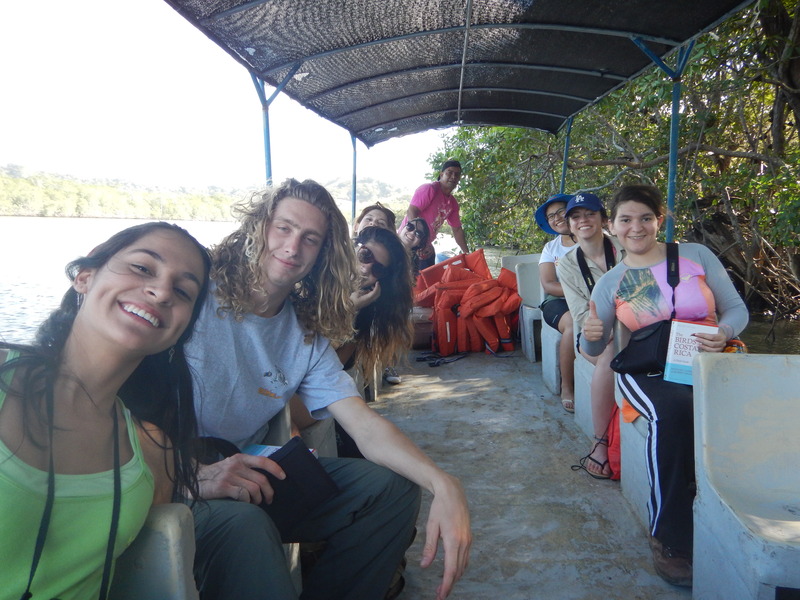 Taking a boat on the estuary, students searched for birds through binoculars and enjoyed a beautiful swampy scenery. With an interview with CSUCI student Kaylei Burns, she explained how she learned that “even the birds that look very similar have different characteristics and behaviors. Small characteristics that you wouldn’t notice unless you studied it”. She also noted that she enjoyed being able to relax and view the estuary scenery and that her favorite bird during the tour was the little blue herron. 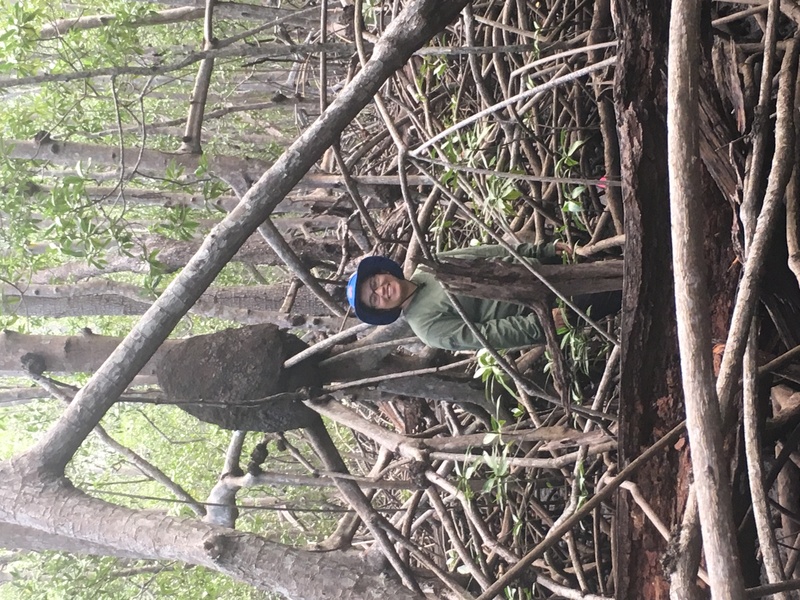 One of the other groups visited the mangroves, where they had to climb their way through branched obstacles and a very muddy floor. The students were collecting data such as stem density, regeneration, basal area, and percent coverage. 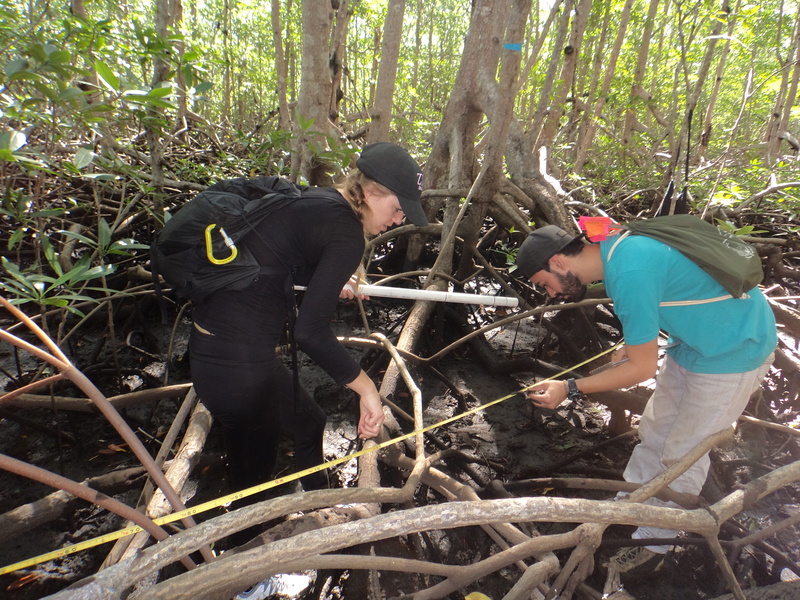 Finn Swann (student), enjoyed being in the mangroves and learning to research the trees. 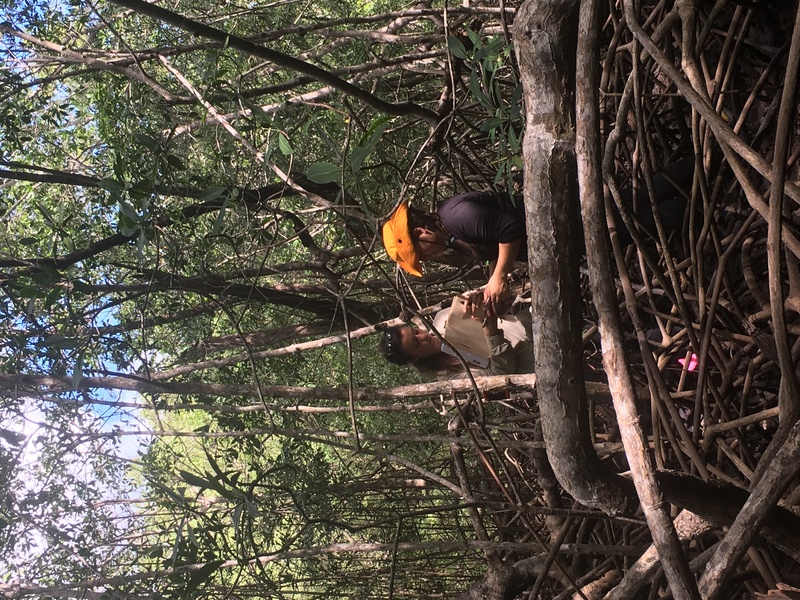 Some of the things he noted included was that it was difficult to climb though the thick stumps and branches in the mangrove forest. He also saw crabs and raccoons living in the mangrove. He also learned that mangroves have roots that excrete salt from the tree which are called nodes. The tree pulls in water from the estuary that contains the salty sea ocean water and is the reason for the extraction of salt. The last group visited the vegetation curtain. 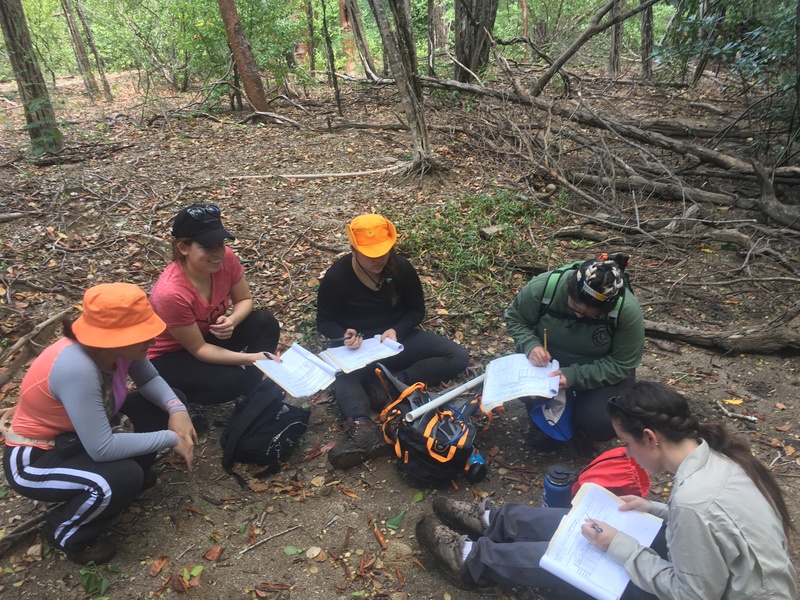 During this activity, students looked at different areas of the beach and rated the density of the vegetation curtain to be between (category 1)no vegetation, (category 2) some vegetation, and (category 3) dense vegetation. They also checked if there were any important spots, such as houses between markers. They accomplished this by taking coordinates and rating vegetation into categories. 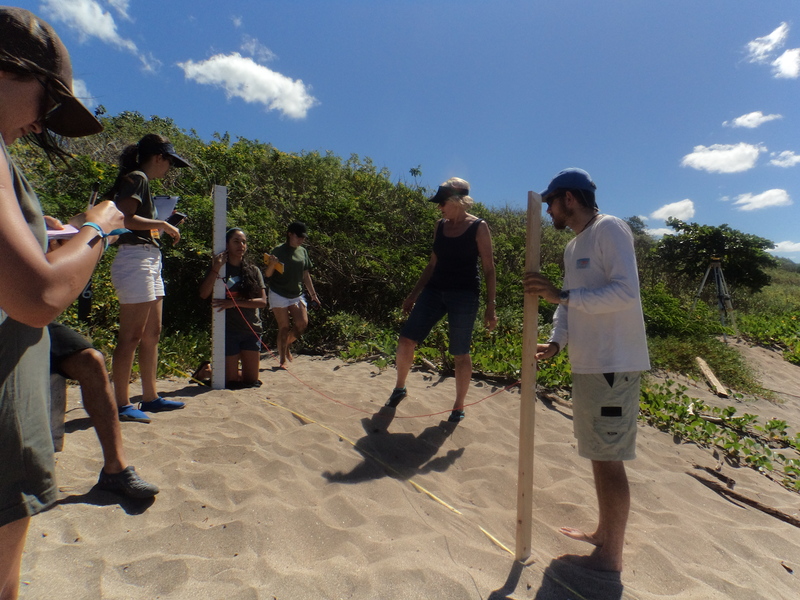 CSUCI student Frances Klingenberger noted that “it was interesting to see the difference between category 1 and category 3 and counting the people in the courses and their attitudes about their survey, especially in regards to the sea turtle”. She included that “they seemed to not care about [the sea turtles] and were willing to cut down the vegetation to build houses”. Overall though, she enjoyed comparing different sections of the beach in terms of vegetation and tourist population. After settling down for a well deserved dinner, a group of half the students visited a neighboring beach and assisted in turtle monitoring. Under a starlight sky and nearly a full moon, the group of students walked the perimeter of the coast on the lookout for leatherbacks. Unfortunately, no turtles were seen but the experience was still memorable. WiFi connections are poor, limiting the picture postings, but stay tuned.